The selected data source encountered an error. Seminar 9 a.m. - 4 p.m. local time. Registration begins at 8:30 a.m. with breakfast. The program is in the FIRST FLOOR training room. This presentation will deal with threats that can arise when employees bring their own personal devices into a work network. Investigating BYOD policies may help your organization lessen these threats and may lead you to reassess your entire security policy (or create one if you don’t have one)! With many key bank leaders retiring between now and 2020, the banking industry is working to identify and groom young, smart, enthusiastic bankers committed to better serving the banking industry. Finding the next generation of employees often takes time and effort, including actively recruiting and training new bankers. It also requires looking beyond the executive vice-president level and developing talent from within the ranks of lower-level employees. Join us for a discussion on methods to recruit, retain and develop well-rounded bankers prepared to become the next generation of banking industry leaders. Anyone who is involved in Human Resources and/or the development of Human Resources policies and oversight. Scott Duvall has worked in numerous information technology disciplines in his 20 year career. Legal, Accounting, Non-Profit, Telecomm and professional consulting are several areas in which he has audited, implemented and secured technology. Mr. Duvall is currently Manager of Wireless Network Security for Bluegrass Cellular in Elizabethtown, Kentucky. He currently oversees 200 users and 1500 systems, managing security monitoring, vulnerability testing and auditing security infrastructure to protect systems and subscribers from threats. Flynt Gallagher is the President of Meyer-Chatfield Compensation Advisors, an organization specializing in providing compensation solutions for financial institutions. Mr. Gallagher brings considerable experience and expertise to his role of providing MCCA’s clients with comprehensive and effective support. He combines extensive knowledge of accounting and income-tax matters related to community banks with years of employment within the financial services industry. He has also operated his own consulting firm and has over ten years of experience at the manager and partner level in the field of public accounting. Previously, Mr. Gallagher served as Vice President and Tax Manager of First Union National Bank (now Wachovia) and Florida National Bank. In this capacity, he reviewed and developed compensation plans focused on retaining current and future wealth for executives of both large and community banks. Mr. Gallagher also worked with key clients of these banks on compensation, wealth management, income tax and related IRS issues. Robert C. Rives IV joined the Labor and Employment Practice Group of Dinsmore’s Louisville office in 2011. Bobby counsels employers in all aspects of employment law including training, conducting investigations, defending administrative charges and litigation matters and appeals before the Equal Employment Opportunity Commission, the Kentucky Commission on Human Rights and state and federal courts throughout Kentucky. Bobby has experience handling issues involving Title VII of the Civil Rights Act, the Family and Medical Leave Act, the Americans with Disabilities Act, the Kentucky Civil Rights Act, and many other state and federal statutes and regulations governing employment disputes. 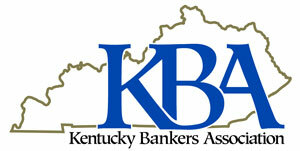 Cancellations received in the KBA office 4 business days prior to the scheduled program will be refunded in full. Registrants who do not show up to the program or send a substitute will be responsible for the entire registration fee. Due to commitments and expenses we cannot reverse, such as handouts, food, beverages, room rentals, speaker fees, etc., cancellations received less than 4 business days prior to the scheduled program are not refundable. Substitutions are welcome.